This post features the same titled songs by different artists: Drive and Bed of Roses. Some songs and videos are just more remarkable than others. The video for R.E.M’s Drive is one of them. Shot in black and white, it pretty much only shows front man Michael Stipe singing, and being taken around over the shoulders of concert viewers, after having stage-dived. The song itself is soothing and acoustic, with a rather catchy melody. Drive is the first track on R.E.M’s Automatic for the People album, the band’s 8th record, released in 1992. The song reached number one in the UK. This is the same album that features another highly remarkable R.E.M song “Everybody Hurts” (which has that video where everyone suddenly leaves their cars in the middle of the highway and start walking in masses). Drive was written by R.E.M. members Michael Stipe, Bill Berry, Peter Buck, Mike Mills, and it was featured in an episode of the 90s TV show Felicity. “Drive” is a demo song recorded for Jon Bon Jovi’s second solo album Destination Anywhere (1997). It typically features the “road/driving with my baby” element, which Jon has used a lot in his second solo album Destination Anywhere. The album did pretty well in many countries, even reaching number 1 in Spain, Germany, Austria, and Switzerland. Its other top 10 positions are number 2 in the UK, 6 in Canada, 4 in Australia and 7 in Sweden. Destination Anywhere is one of Jon Bon Jovi’s most personal song-writing journeys as it includes the song August 7, 4:15 where he sings “God closed his eyes and the world got mean” , in reference to the loss of his manager’s young daughter. 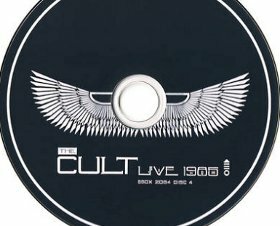 As an album, it is as far as one can get from Jon’s glam rock roots. It is mostly a modern rock album and its biggest hits are Midnight in Chelsea, Janie Don’t You Take Your Love to Town and Queen of New Orleans. There’s lots of things that I can’t get back, that the record company owns. Hey baby, maybe we ain’t kids no more, but I’m too young to die. We’ll drive, all night long, get on board. We’ll drive, with the radio on. “Bed of Roses” is featured on the best-selling Warrant album Cherry Pie, released in 1990. Written by Bonnie Hayes and Warrant front man Jani Lane, Bed of Roses is a sweet, romantic song where the singer unsurprisingly thinks that the girl needs to sleep on a bed of roses. 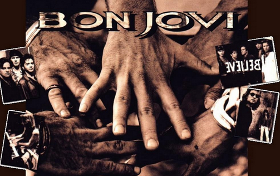 “Bed of Roses” is a hit Bon Jovi ballad featured on the 1992 Bon Jovi album Keep the Faith. Keep the Faith came after a 4 year break, and sounded a lot more different than the preceding albums Slippery When Wet and New Jersey. It wasn’t only that the album wasn’t produced by Bruce Fairbairn (who produced the last two records), but by Bob Rock who is best known for producing Metallica’s best-selling black album Metallica. But of course it wasn’t just the change of production. The band members were more grown up, rested and had left their differences behind. They were no longer the young boys from New Jersey struggling to make their dreams come true. They were young men who had made their dreams, and now they were ready to sing about whatever hit close to home, without neglecting their glam and hard rock love. The album produced many hits, one of them being “Bed of Roses”. Solely written by Jon Bon Jovi about his high school sweetheart/wife Dorothea, the song reached number 10 on the Billboard Hot 100. It is one of the band’s concert favorites and it is included in the 1994 best of album Cross Road.